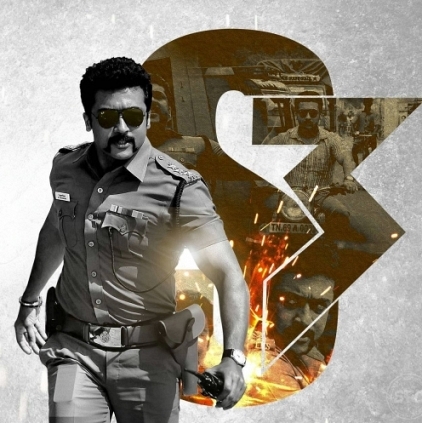 Suriya's cop action drama S3, directed by Hari, has music by Harris Jayaraj. The intro song titled 'Oh Sone Sone Super Sonic' was recently shot at Binny Mills. Neetu Chandra has apparently shaken a leg for this foot tapping number, along with Suriya and other dancers. Being a trained dancer herself, it is said that the 'Yavarum Nalam' heroine has performed the dance with perfection. Earlier, in Singam 2, we had seen Anjali dancing for the intro number 'Vaale Vaale', and now for the third installation, it is Neetu Chandra. We also hear that the team is currently shooting in Thalakkonam, Andhra Pradesh. The musical album is expected to release soon, while the film is slated for release on December 16, 2016. What Made Yaavarum Nalam Fame Neetu Chandra Happy? People looking for online information on Neetu Chandra, Singam 3, Suriya will find this news story useful.